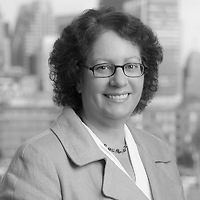 Beth Mitchell, a partner in the firm’s Real Estate and Finance Department and co-chair of the Commercial Finance practice group published “Enforceability of prepayment premiums in Mass.” in REBA News, a supplement to Massachusetts Lawyers Weekly on January 21. The article discussed the courts differing conclusions regarding the enforceability of prepayment premiums. Given that the courts have both allowed and disallowed all varieties of prepayment premiums there isn’t a clear answer regarding enforceability. In general, whether a prepayment premium will be upheld in court depends on a number of factors and is approached on a case-by-case basis. Common factors that the courts consider include whether the prepayment premium is assessed after a voluntary or involuntary prepayment; whether the enforcement of the prepayment premium arises in a bankruptcy proceeding, and if so, whether the debtor is solvent or insolvent; and what kind of formula was used to calculate the premium.